(Photographs taken by Mr. Paul Cooney, Detroit Institute of Arts Technical Photographer. Please feel free to click on the photo above and be redirected to the Detroit Institute of Arts website where you can learn more about The Thinker and other collections featured at the DIA. )Few possessions are as precious or as widely cherished as fine art. And when you want to move, store or display those valuable items, one rule comes to mind: Don’t take chances. Perhaps that is why when the Detroit Institute of Arts needed to relocate the famous Auguste Rodin’s “The Thinker Statue” from its usual perch in front of the museum, they commissioned Professional Movers.com to help facilitate the safe transport. The Thinker Statue originally arrived in Detroit from Germany in 1922 as a gift from Horace H. Rackham. Over the years the sculpture has become synonymous with deep intellectual contemplation and coincidently, moving it took careful consideration, preparation, and experience. After all, when Professional Movers.com was asked to temporarily move the statue, it was only the third time in its 85 year history that The Thinker Statue had been relocated. Any type of mishandling or damage caused by transport to one of the world’s most famous statues would surely capture world headlines. Professional Movers.com assigned Kris Bergstrom, our Artwork Moving Consultant and a five-star driver to visit the statue site to provide knowledge, experience and authority of planning such an important relocation. Kris coordinated all aspects including loading, securing, transporting, delivery, and necessary documentation. During the process, all parties concerned received thorough and advanced communication about schedules and coordinated details of every element of the transportation. He even worked with the DIA representatives to ensure security precautions of a safe and secure passage. In May 2007 the nearly 2,000 pound “Thinker Statue” was lifted by a crane and fastened to a series of custom built pallets. Professional Movers.com then secured the statue inside one of its state-of-the-art air ride trucks using multi-point cushioning and ratchet straps. The truck was operated by Kris Bergstrom who safely transported the statue 200 miles to the Frederik Meijer Gardens and Sculpture Park in Grand Rapids. During the transportation process, Professional Movers.com was guided using GPS tracking and was in constant communication with the statue representatives. It was a move like no other. However, in the end, it was just another typical relocation for the experienced team of art handlers, craftsmen and administrators at Professional Movers.com. Our trucks have interior cabins custom-designed for art transit with climate control. Professionally trained site-packers and craters dedicated to protecting your property to museum standards. All trucks are ICC licensed and feature air-ride suspension and optional lift gates. Available storage space in our high security warehouse where artwork is held safely for short and/or long term periods. Restoration services, display and pedestal fabrication, insurance coverage and database collections management. 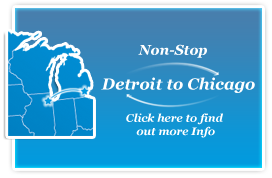 Monthly shuttles services to and from New York, Chicago, Indianapolis, and Detroit with convenient monthly announcements for scheduling pick ups and deliveries. Full time office staff, on-call to assist you with shipments, storage, and estimates and to ensure your satisfaction from the beginning to the end of your project. Professional Movers.com will provide recommendations and estimates for fine art services. We will work within your schedule and budget and tailor the job to your specifications as part of our personalized service. Please feel free to contact us today to talk to one of our Certified Artwork Moving Consultants at 248-926-9999.